A jury in South Carolina today convicted Dylann S. Roof in the racially motivated killings of 9 black people in a church in Charleston. He faces the possibility of a death sentence. Roof was found guilty of all 33 federal charges connected to the 2015 massacre at Emanuel A.M.E. Church. Jurors also said Roof, 22, was guilty of firearms violations and obstructing the exercise of religion for those he shot and killed during a Bible study at Emanuel African Methodist Episcopal Church on June 17, 2015. The 12 jurors deliberated for a little less than two hours after six days of testimony. Roof showed no emotion as the verdicts were read. The guilty verdicts on all 33 charges he faced pave the way for the penalty phase of Roof's trial. He has indicated he will serve as his own lawyer as prosecutors pursue a death sentence. The same jury will convene for the penalty phase of Roof's trial, which comes next. “I did it,” Mr. Roof, who is white, said in an FBI interrogation video released 18 months ago. The Wednesday night attack at the oldest A.M.E. congregation in the South began less than an hour after Mr. Roof unexpectedly entered through an unlocked side door and took a seat at a weekly Bible study meeting. The congregants, including the church’s pastor, the Rev. Clementa C. Pinckney, were studying the parable of the sower. The session was passing without incident — one victim, Tywanza Sanders, even recorded a few moments on his cellphone and posted the video to Snapchat — but when the congregants closed their eyes for a familiar benediction, the staccato report of gunfire echoed through the ground-floor fellowship hall. He chuckled while answering questions and describing how he specifically targeted the historic black church. He said he used seven magazines while shooting with a .45-caliber Glock pistol. Mr. Roof also faces another death-penalty trial in state court that will focus on murder charges stemming from the massacre at the Emanuel African Methodist Episcopal Church in June 2015. The defense team may not have another opportunity to try to sway jurors deciding Mr. Roof’s sentence, since Mr. Roof has said he intends to defend himself during the sentencing phase. He briefly acted as his own lawyer before the trial started, too, but asked U.S. District Judge Richard Gergel to cede control back to his lawyers for the first phase. 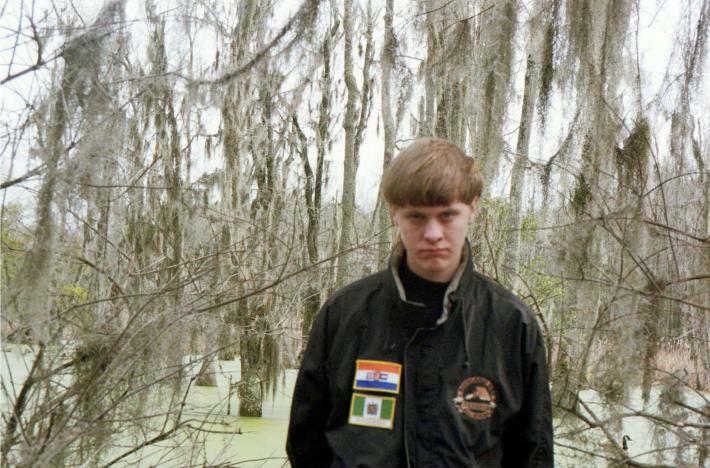 Where was Dylann Roof radicalized? Good question.